One Stop for Real Estate & Financing. Ronald Christopher & Associates is veteran owned & operated and was established in 2013 by Ron & Tina Saporito. The boutique real estate and mortgage office offers a comprehensive range of real estate services along with mortgage financing options. Our boutique office truly offers you an individualized service with one stop for all your real estate needs. You need someone who knows this area inside and out! We will work with you to find the right home at the right price for you, including all the neighborhood amenities that matter - not to mention the essential criteria you have for your ideal home. Ron is the Broker and owner of Ronald Christopher & Associates. Prior to moving to the Coachella Valley in 1997, Ron completed four years in the United States Marine Corp. entering at the young age of 17 years old. He started in the mortgage industry in 2003 and in 2009, Ron obtained his Brokers license. Ron is dual licensed as a mortgage broker and a real estate broker. Ron says, "This benefits both buyers & sellers - having the knowledge & complete understanding of the real estate market combined with a financing background is essential in today's competitive real estate market. When buying and selling real estate, every piece of the puzzle has to fit into place. There are a lot of moving pieces and it takes great consideration and experience to make all of the process happen in harmony." Realtors need an in-depth knowledge of the loan process, it plays a vital role in writing an offer that is competitive for the seller and yet realistic for the buyer. Ron helps buyers and sellers to make the right choices in the purchase or sale of their home. He has a tough background but he uses that background in business to make sure his clients get the best deal on every transaction he's involved in. Tina is part owner of Ronald Christopher & Associates and has been a licensed REALTOR® since 2005. Originally from Madison, Wisconsin, Tina previously worked for the Wisconsin State Legislature. She moved to the Coachella Valley in 2002. She has degree's in Business and Communications with emphases in marketing and public relations. Tina also attended the University of Redlands masters program in business administration. Tina combines a hard work ethic and a detail-oriented approach to ensure all of her clients have the utmost experience, whether buying or selling a home. Her communication, commitment to service, professionalism, and persistence has been instrumental in enabling numerous clients to achieve their dreams of home ownership. Her dedication to clients stands out as a great credit to herself and exemplary reflection of her team. In 2018, Ron & Tina sold nearly $10 million in real estate, representing 27 transaction sides. The loan division completed 53 transactions in 2018. Ron & Tina cover all of the Coachella Valley from Palm Springs to Coachella. "This was my first time selling and buying a house by referral from an old co-worker, I came across Ron and Tina , all I can say is they handled everything, fast and they answered all my questions (tons) , They were vary patient with me and led me in the right direction, I'd definitely go to them again in the future and highly recommend them." "Ron listed a property for me and I received multiple offers in the very first week, including 2 full price offers. Everything went smooth for a quick & easy sale. Ron kept me updated and informed during the entire process, which was great. Ron knows his business and knows the local market and I would consider him an asset to anyone looking to buy or sell in the Coachella Valley. I would definitely work with Ron again and I absolutely recommend him." "Ron is a true professional. He knows the market, how to advertise and follows through on his promises. He sold two of my property investments and when another opportunity to sell arises, he is my man. Ron goes above and beyond what is expected." "My husband and I had a great experience buying a home with Tina Saporito. She was very patient, kind, thoural and efficient during our entire experience. She did everything in forty five days! We are forever grateful to her and her team at Ronald Christopher Associates!" "I would definitely recommend Tina as a realtor! This is my first family home purchase, she answered all my questions promptly and when I felt nervous she put me at ease by responding everything I wanted to know. Very very happy and pleased with our first home Tina and her husband made sure we found a home that fulfilled our needs and expectations." "My husband and I had an amazing experience with Ron. He was always available and quick to respond. We were first time home buyers Ron made the how process easy and simple. We found our perfect home! I highly recommend him to help you purchase your next home." "Ron and Tina did an outstanding job with our new home purchase! Their attention to detail and expertise were top notch from beginning to end. They provided us with an excellent Market Strategy Report and very sound advice which resulted in a purchase offer price we were confident in. Ron and Tina went out of their way on multiple occasions to take care of daily details that ensured a smooth transaction. They listened well to our concerns, were patient, and explained their point of view clearly and always friendly. We highly recommend Ron and Tina for all of your real estate needs! Net result......we found the perfect home at a very competitive price and we are living happily ever after! Thank you!!" "I want to thank Ron, Tina and Louie for all there hard work and dedication and making our dream of home ownership a reality, even when we had doubts about getting a home at this time, thinking we couldn't qualify, Ron and his team took over and made it happen.... I won't forget what he told me.. " Louie, sit back and relax, when I ask you to sign, sign it and then I'll be handing you and your family the keys to your new home " and that's pretty much how it went! Always answered my annoying calls and texts no matter what time of day... Louie was just unbelievable, such a professional and well organized .. Always kept us up to date and informed every step of the way.. Such a great team over there... Highly recommend anybody wanting to buy, sell, or refi... Give them a call first! Ron, Tina and Louie... 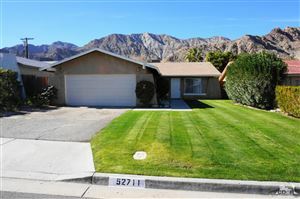 Thanks again for everything.. My family thanks you as well.."
"We are so fortunate to have found Ron and Tina Saporito when we were looking at properties in Palm Desert. Not only did they help us find our dream home, they helped sell our previous home as well. They are knowledgeable, hardworking, and happy to assist in any way possible. They made our buying and selling process amazing and I would highly recommend them to anyone with real estate needs." "I recommend Tina. Tina is terrific in all aspects of her job. Since 2007, she had been my buyer’s agent twice, my seller’s agent once and my property manager for more than 2 years. With each transaction she was always professional, attentive to every detail, a good negotiator, and knowledgeable of the Coachella Valley and real estate in general. If I need a realtor in the future, I will again select Tina. I trust her. She always completed each deal successfully and to everyone’s satisfaction." "I have known Tina for over 5 years and she has helped me with numerous real estate transactions. She first assisted me with my vacation rental, which later turned into a long term rental. She is very attentive and pays attention to the little details. She's informative and offers solutions when needed. When the time came, I choose Tina to help me with the sale of both of my properties in La Quinta. All of my transactions went smoothly and both homes sold within a week of being on the market. I highly recommend Tina and will refer friends to her in the future." "Tina was great to work with start to finish, providing steady calm guidance throughout our purchase. She was quick to respond whenever we contacted her and worked hard to keep escrow on track. She is a realtor who will help and not pressure. We're glad we found her! " ""Tina was awesome. Absolutely listened to what we wanted in a new home. She was involved with every detail through out the escrow process as well. Emails and telephone messages were answered promptly. Would recommend Tina and will use her in the future as well." "
"Ron & Tina worked hard and kept their promise I was going to own a house even though I was very pessimistic due to my poor credit score. My friend recommended to go with Ron Saporito saying, if Ron can't do it, no one can! He was right you guys are the best in the valley." "I want to thank you and Ron for getting the job done for us at Bogert Trail. I love the place and I think it has great potential. It was so touch and go at the end and Roger was having some physical problems I think it was from the stress of it all but it all worked out and he is better now. Thank you both so much for all the effort you put into it and making it happen. "